CSAV Systems Services 269 Year Old Church In Springfield, NJ. CSAV Systems is proud to serve First Presbyterian Church, one of the oldest congregations in the U.S. – having existed since 1745. Wired for electric light in 1899, First Presbyterian Church has been through over 200 years of innovation in technology. 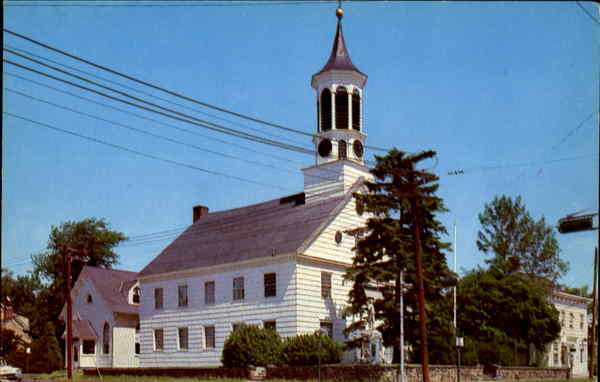 From the first forms of light and electricity to CSAV servicing the church’s A/V system over 250 years later, CSAV Systems is proud to have been chosen to work with such a historical landmark. The statue of a Continental Soldier out front is the smallest state park in New Jersey. CSAV Systems offers solutions and improvements for houses of worship such as large screen projection, lavalier & choir microphones, assisted hearing solutions, video surveillance, acoustical treatment, amongst several other options & solutions. Working with house of worship facilities from traditional buildings, to new construction – CSAV Systems can provide solutions to help facilities look and sound better. Call CSAV Systems for a FREE Systems analysis. We’re here to serve. Please visit Churches and Houses of Worship Audio Visual Systems for more information.